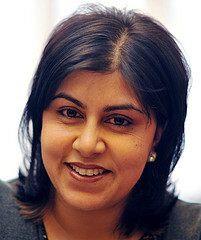 Below is the text of the speech made by Baroness Warsi on 10th October 2012 to mark the World Day Against the Death Penalty. I would like to thank the APPG for hosting this event, members of the expert group who have taken time out to attend this event, the other speakers on the panel, all of you who are here to support and most of all to Baroness Stern, for her tireless work and continued outspokenness on this issue over many years. It is clear there are issues which need to be spoken about and she should continue to be outspoken on this issue. One of the important things that Baroness Stern said in her remarks was that this is not a European initiative. Being British, of Asian origin, Muslim by faith and Conservative in politics, and seeing the other speakers on the panel today, it is clear that those who oppose the death penalty come in many shapes and sizes. In the early nineteenth century there were about 230 different offences carrying the death penalty in the UK. If you were caught stealing a sheep, cutting down the wrong tree or were judged to have “damaged Westminster Bridge”, you risked death. Things have, quite rightly, changed. The UK’s journey towards abolition of the death penalty has taken us from the first Parliament-imposed restrictions in 1957, to abolition for all ordinary crimes in 1969 and for all crimes apart from in times of war in 1998, up to Britain’s commitment to abolish the death penalty in all circumstances in 2004. We have been on a journey. Today as much as ever before, the death penalty remains a subject of the utmost importance. Over the next few minutes I want to make clear one, why we oppose the death penalty; two, talk about the global landscape on this issue; and three, set out what we are doing to encourage its abolition globally. There was a question about reintroducing the death penalty in Britain on Radio 4’s Any Questions a couple of weeks ago following the murders of two women police officers – and you could tell from the audience reaction quite how strongly people felt against it. That isn’t surprising: the question of a state’s right to take life set against a legitimate wish to punish and deter serious crimes is among the most difficult of moral dilemmas. In Britain our view is clear: our long standing policy is to oppose the death penalty in all circumstances as a matter of principle. And by extension, to work towards its worldwide abolition. Fundamentally, we believe that its use undermines human dignity; that there is no conclusive evidence of its value as a deterrent; and that any miscarriage of justice leading to its imposition is irreversible and irreparable. When talking about this, it’s easy to slip into abstractions. But we shouldn’t, because it’s about people. When Timothy Evans and Derek Bentley were executed in 1950 and ’53, after flawed trials that led to posthumous pardons, it catalysed steps towards abolition in Britain. It reminded us of the inhumanity of capital punishment. And the risk – and tragedy – of getting it wrong. In a world with countries that retain the death penalty, that risk still exists. Right now, there are twelve British nationals facing the death penalty overseas. One of the first things I did when I started my role was to ask my officials to print photos of them and give me information on their families. It is important to see them as people, not statistics. Foreign Office staff are in constant touch with them. We do our best to give support to them and their families, and we forcefully make the case to the governments concerned that these people, no matter what they are believed to have done, should not die at the hands of state authorities. Over the past year we have made representations on behalf of British citizens in the Democratic Republic of the Congo, China, the Central African Republic, the United Arab Emirates, Indonesia, Pakistan, Thailand, and the US, to name a few. It makes a difference: we judge that our interventions have helped to prevent death sentences, or to delay execution dates, giving time for further representations. There has been growing international momentum towards abolition, particularly over the past two decades. Last year only 21 countries carried out executions, a figure which has fallen by more than a third over the last decade. Steps taken towards abolition in recent years by Benin, Gabon, Kyrgyzstan, Mongolia and the US States of Illinois and Connecticut are very encouraging; as is last year’s decision by the State of Oregon to introduce a moratorium on executions. This progress is welcome – because no legal system is error-proof, and the death penalty leaves no room for error. But despite this trend, some disturbing exceptions remain. We are deeply concerned by the increasing use of the death penalty: in Iran and Saudi Arabia, where public executions still take place; in Iraq, where 26 executions were recently recorded in a single week; and in the Gambia, which in August carried out nine executions after a moratorium of 27 years. So, what does the British Government do? We work relentlessly with our EU partners and others to gain support for abolition of the death penalty, or at least a moratorium on its use. We seek dialogue with governments of countries which use the death penalty – to urge them to impose a moratorium, and to take steps towards abolition. And the FCO continues to fund projects throughout the world to support those campaigning against it. And whist doing this at the macro-level, we have an ever-watchful eye on the individuals. In a few weeks’ time, the UN General Assembly will vote on the biennial resolution on the death penalty. It will again call for a moratorium rather than full abolition, allowing states that have suspended but not abolished capital punishment to give it their support. There has been good progress since the last resolution in 2010. Several countries have either abolished the death penalty, or taken steps such as ratifying the Second Optional Protocol to the International Covenant on Civil and Political Rights, which addresses the death penalty. In addition, there are many states which keep the death penalty in their legislation but do not use it. Our appeal, and my personal appeal at the UN General Assembly just a few weeks ago, is for countries to register an affirmative vote – or at least an abstention, if they have previously opposed the resolution. Doing so would send a clear signal of their desire to join the growing worldwide movement towards abolition. Of the specific countries I have Ministerial responsibility for, five supported the resolution. These were from the Central Asian states and I am pleased to see some of their representatives here today. Amnesty International has called the death penalty the “ultimate, irreversible denial of human rights”. If we continue to work together and spread our message, I believe we can win the argument. And it’s important that we do, because capital punishment should have no place in the world today we live in today.